Ring News 24Boxing News Breaking Boxing News Fight ResultsGeorge Groves Comes Through In Impressive Fashion in Defeating Chris Eubank Jr.
On Saturday night, Feb. 17, inside of the Manchester Arena in the United Kingdom, George Groves showcased his class as a fighter in a clear victory over upstart Chris Eubank Jr, retaining his WBA super middleweight title and moving to the final of the World Boxing Super Series tournament. After 12 rounds, scorecards reading 117-112, 116-112, and 115-113 were read in Groves’ favor after a very spirited display. Groves improves to 28-3 with 20 knockouts with the victory while Eubank falls to 26-2 (20 KO’s). The fight saw Groves comes out boxing and moving, as Eubank seemed to be without an answer as to how to build momentum. Many of Eubank’s attempts saw him lunging and coming in without leading with his jab. Eubank’s only loss prior was to reigning WBO middleweight champion Billy Joe Saunders back in 2014, a fight in which people felt he didn’t do enough in the first half of the match. Eubank started slow against Groves as well, and a nasty cut above his right eye caused more problems. 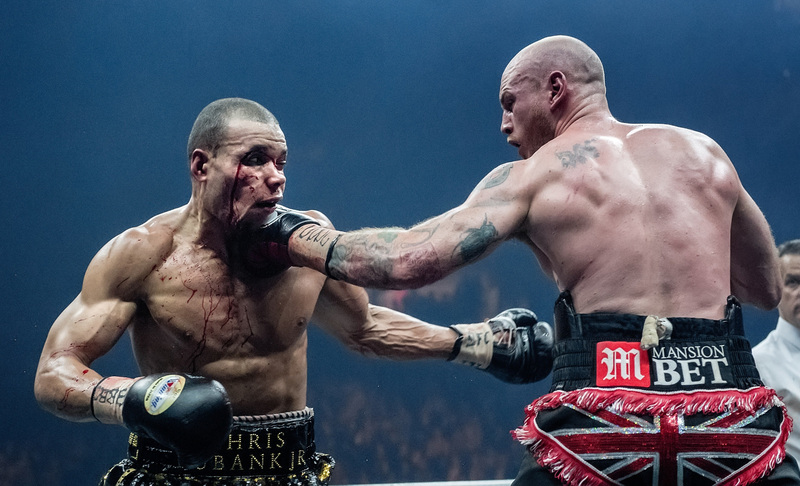 Groves used the opportunity to box effectively from distance and kept the momentum always in his favor, outside of some hard punches and volleys on the inside from Eubank, who, to his credit, never stopped pressing forward. So too did we see Eubank, the son of the outspoken former champion father of the same name, come out wildly in a high-octane 12th and final round in which he had Groves in retreat. Yet it was too little too late. Groves reportedly suffered a shoulder injury in the 12th, most likely a dislocation, yet he is confident moving forward. Eubank offered no excuses and felt as though the fight should have been in his favor. Stellar win for Groves, who will now face off with the winner of the Feb. 24 showdown between WBA champion Juergen Braehmer and undefeated Callum Smith. Groves is a fighter who can make a claim for the title of top man in the division if he can win that match. Having fought the likes of Carl Froch twice, Jamie Fox, Badou Jack, Marin Murray, Paul Smith, and James DeGale, we have seen Groves really stack up the experience recently and he is once again a big player in his division.